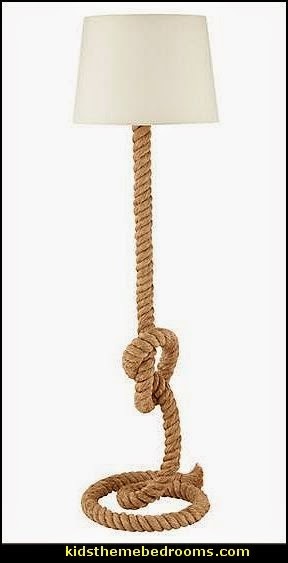 Please don't bring it outside and have your family start pulling on each end. 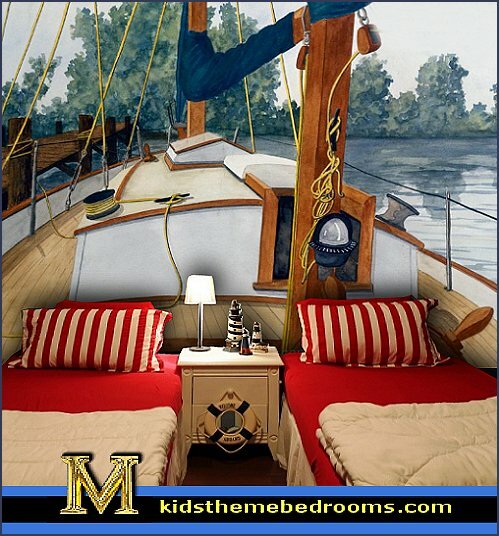 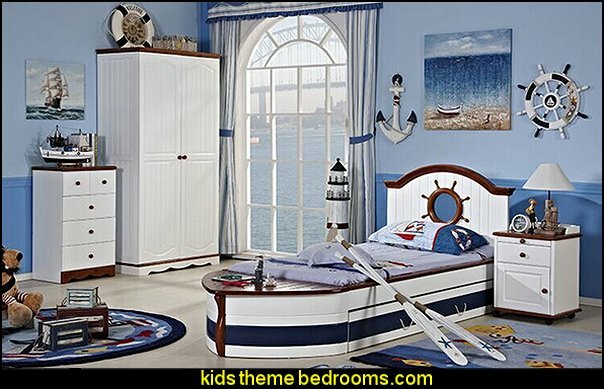 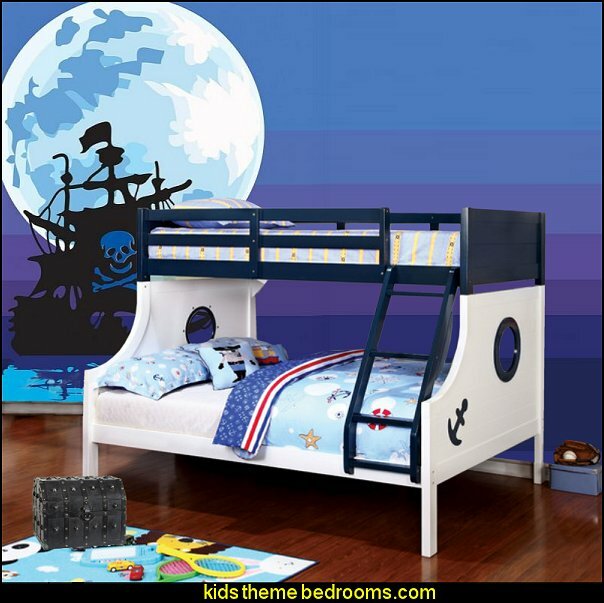 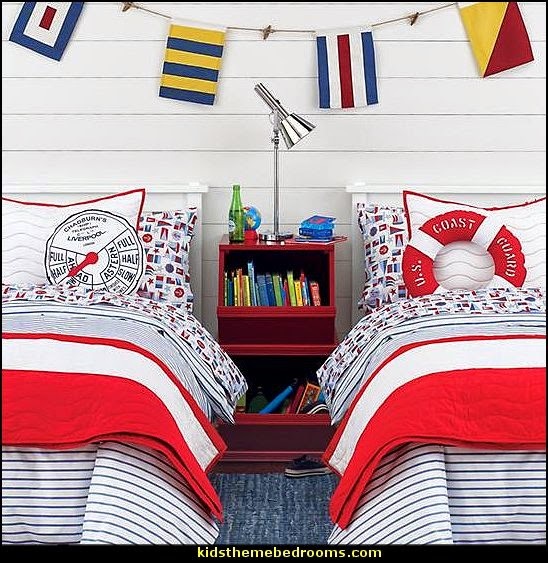 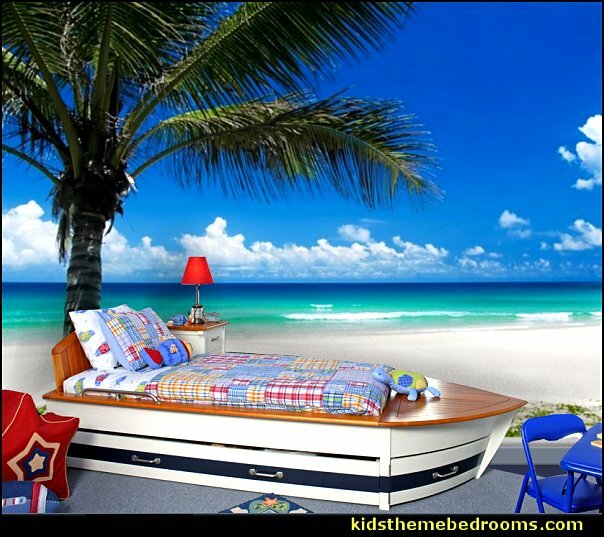 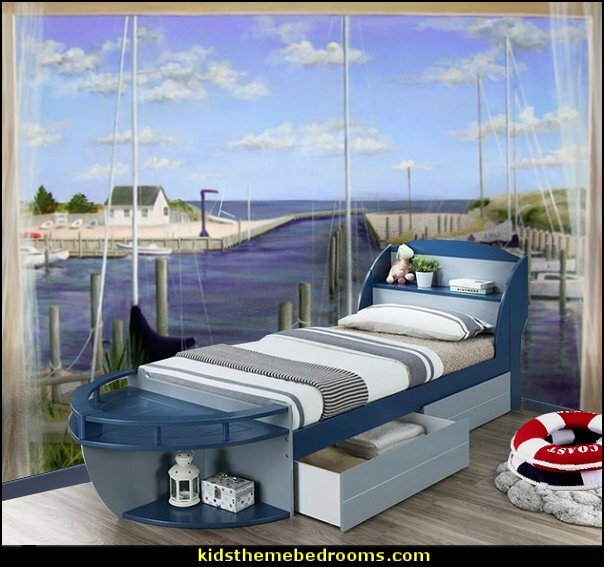 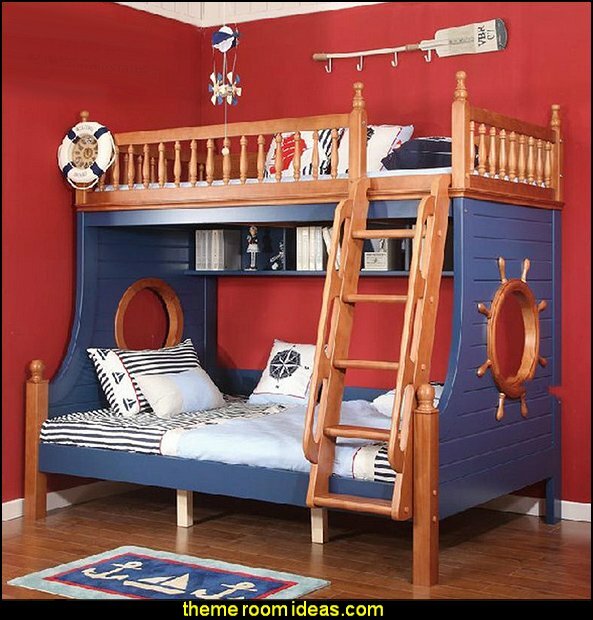 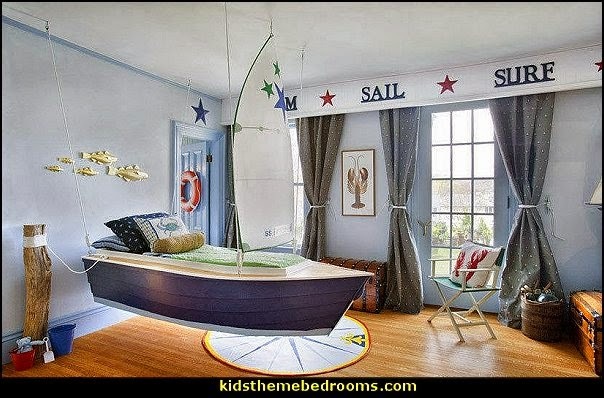 What child would not love to sleep on a boat? 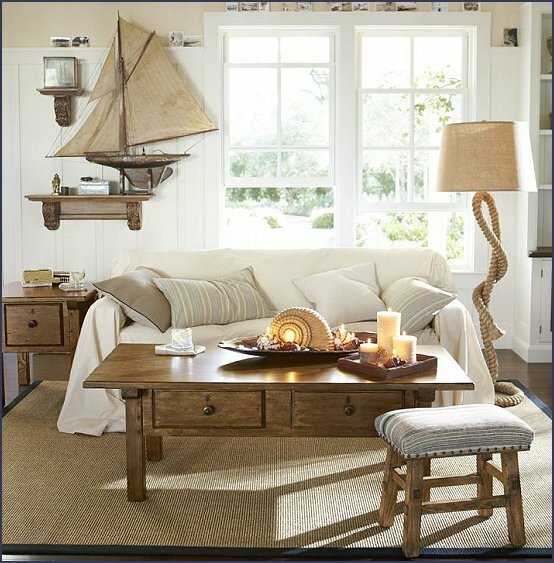 Shore Living embraces soft fabrics in bold patterns and reflects the relaxed attitude that emanates from a home near the water. 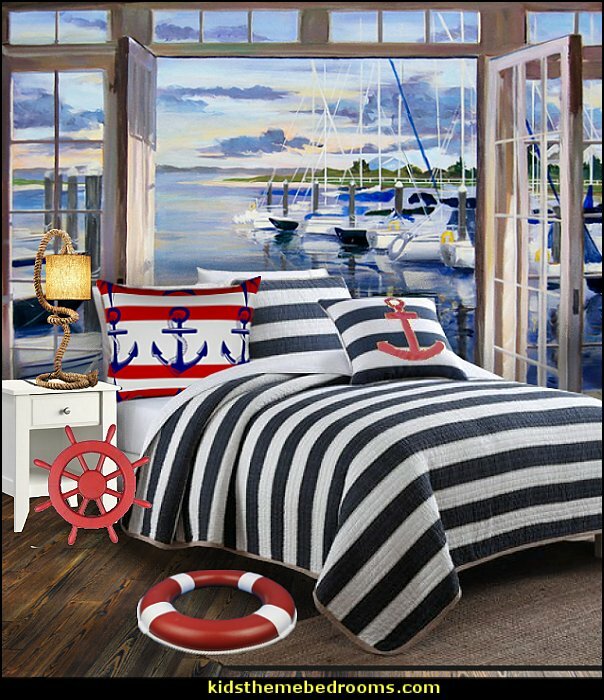 Be it the lake house or the beach house, these home furnishing are the backdrop to creating memories of sunny summer days. 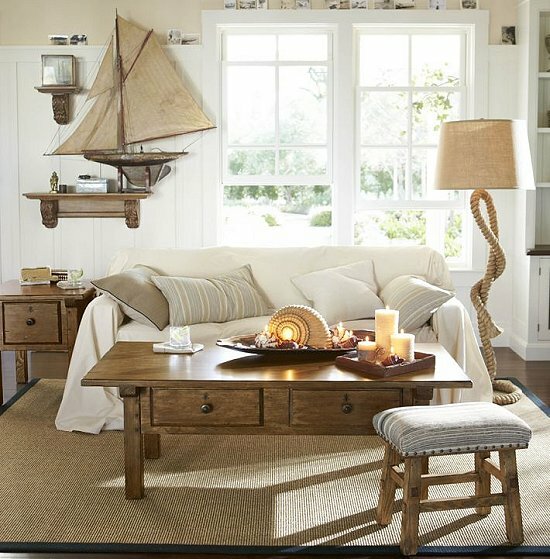 Create a casual atmosphere, even when the nearest body of water is a thousand miles away. 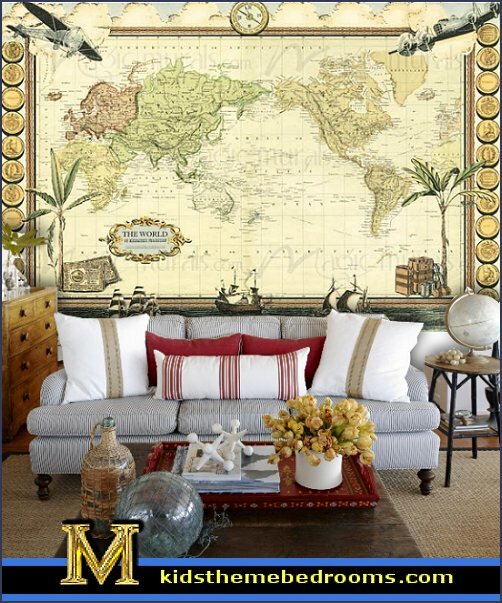 cloth, rope, brass hardware, maps. 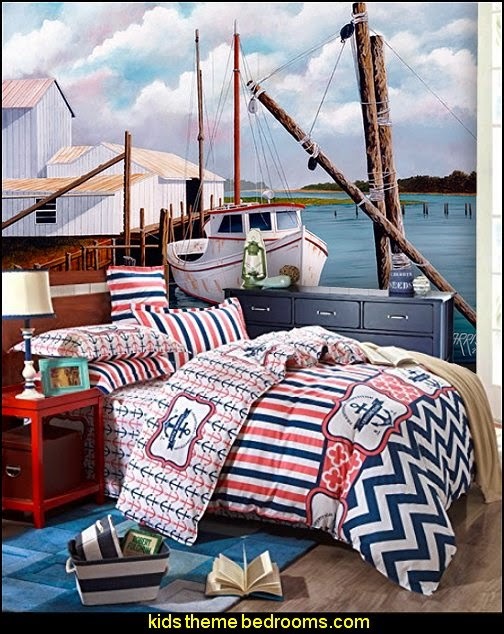 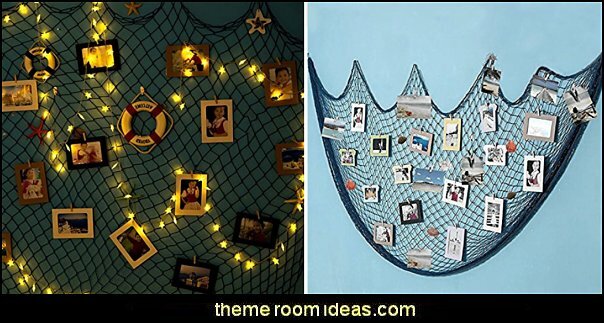 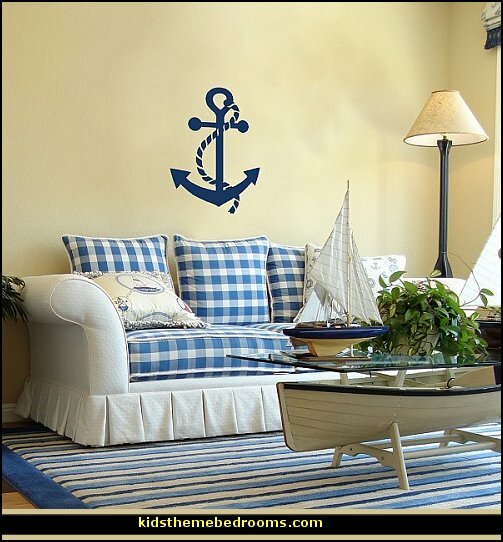 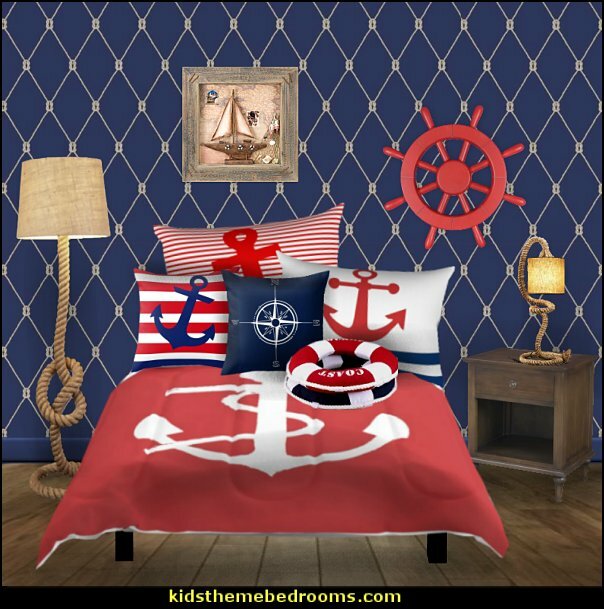 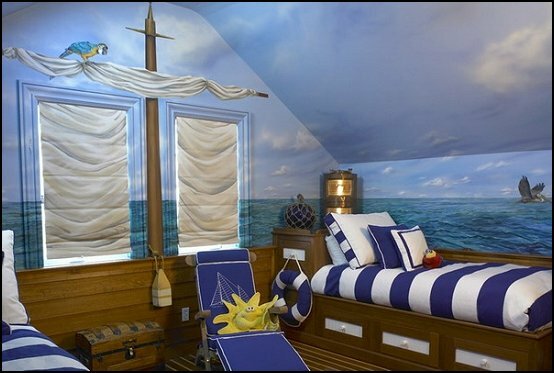 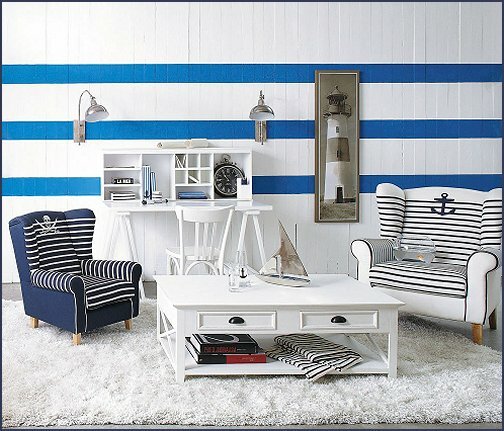 Perfect for an office with nautical flair. 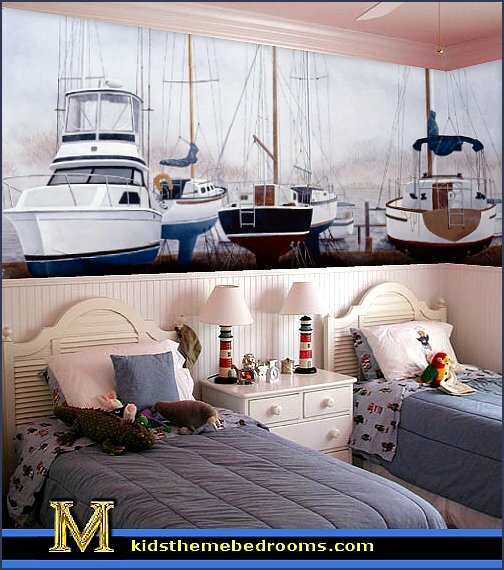 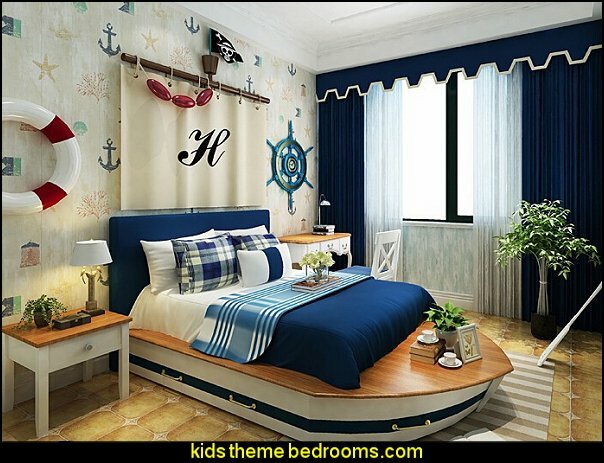 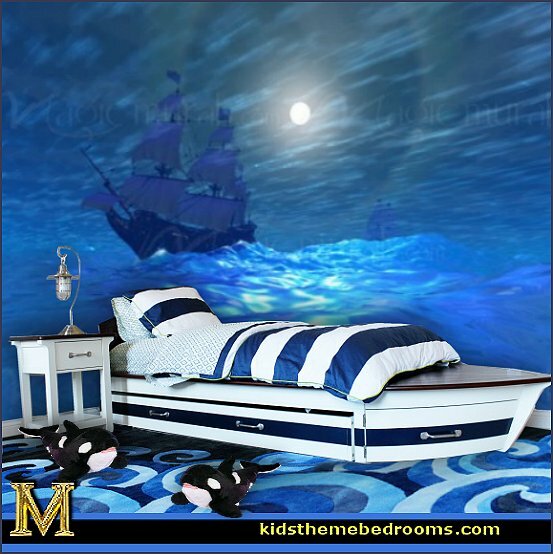 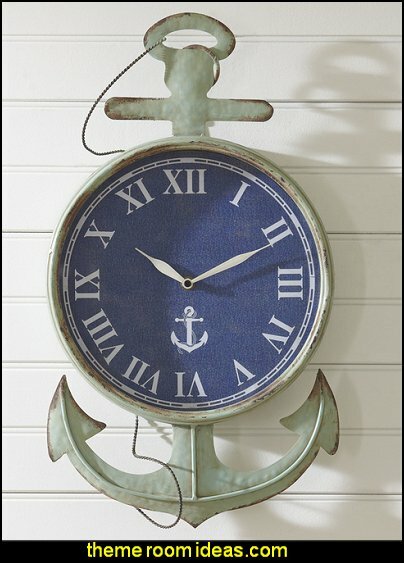 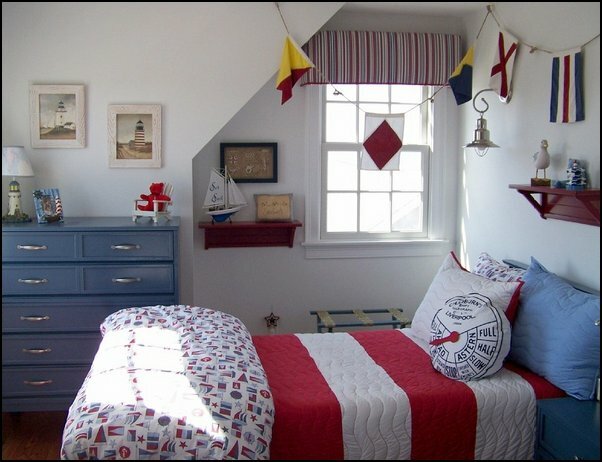 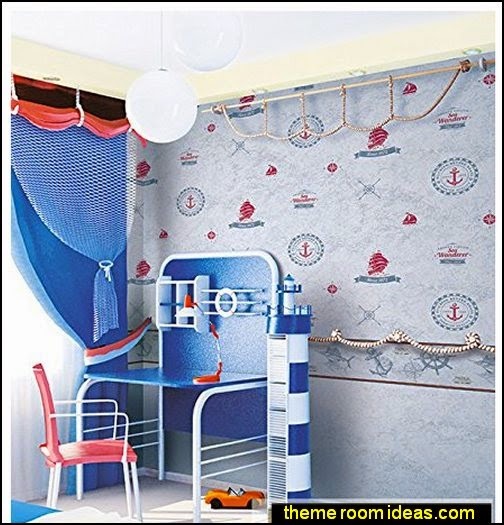 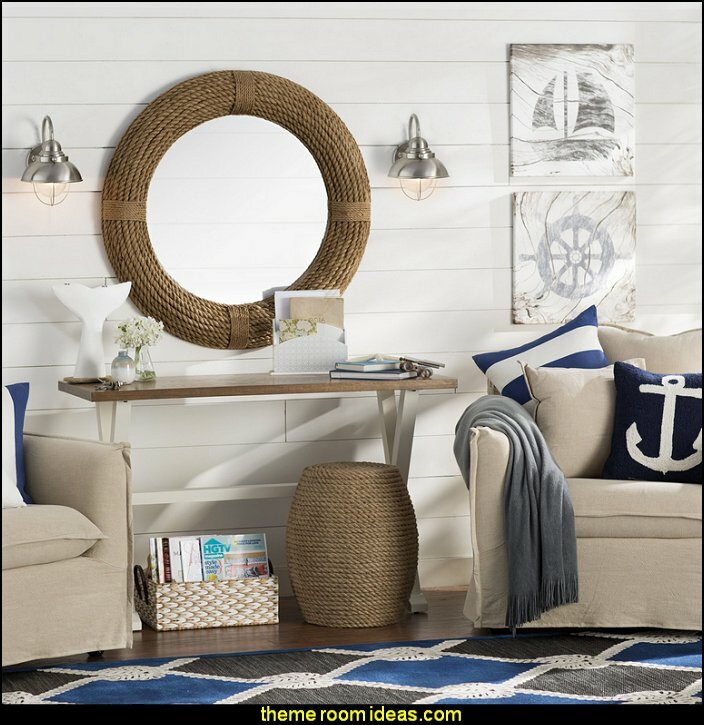 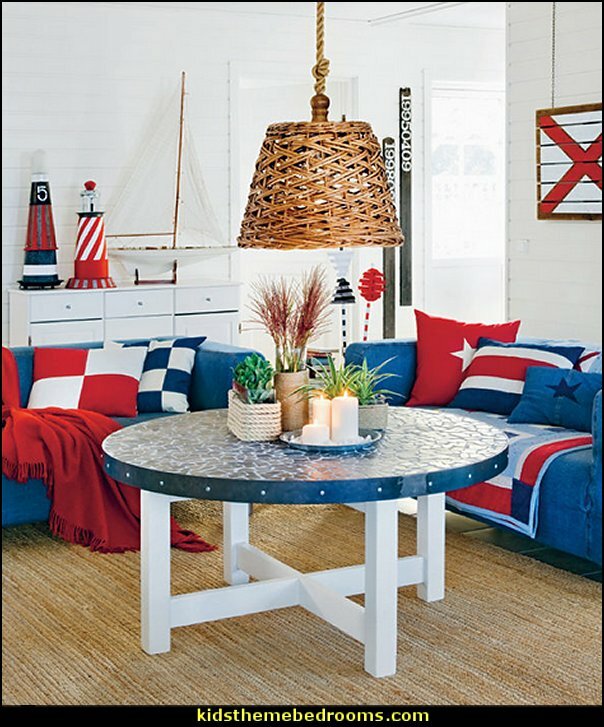 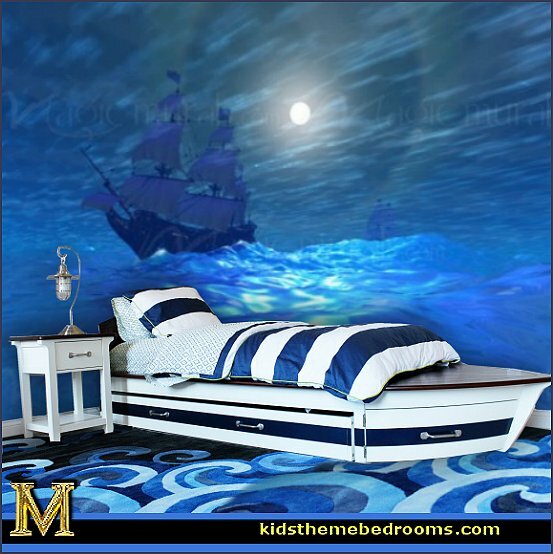 This piece adds an element of uniqueness in nautical decor and is just perfect for a nautical theme office. 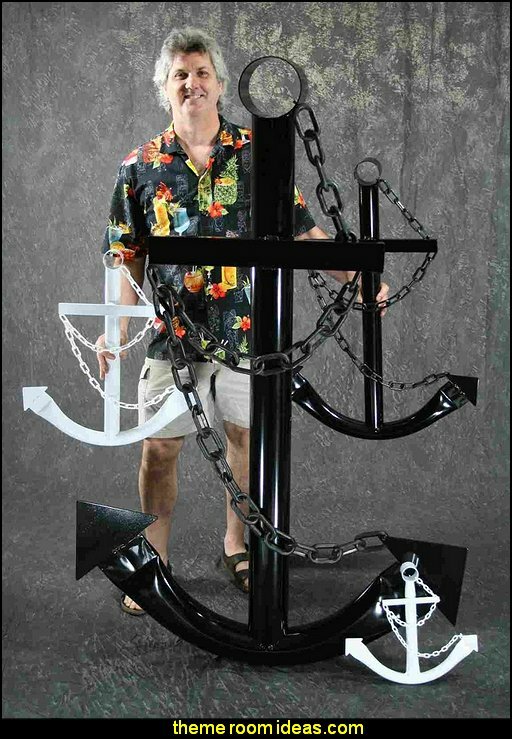 Travelers and seafarers of yore had to be resourceful in order to survive. 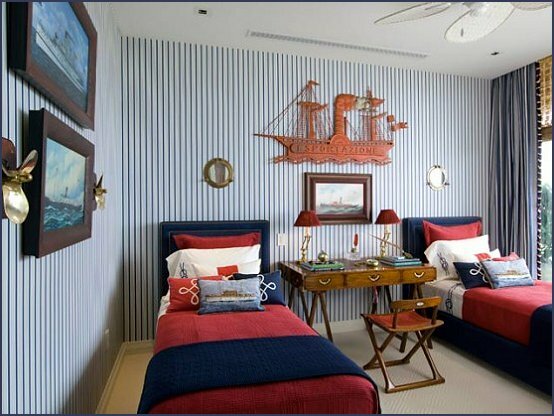 Desks on board ships had to be cleared and stowed at a moment's notice. 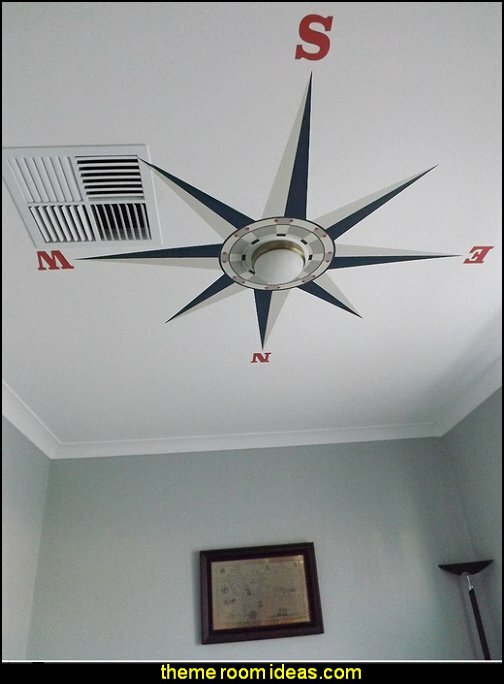 Things had to be multi-functional. 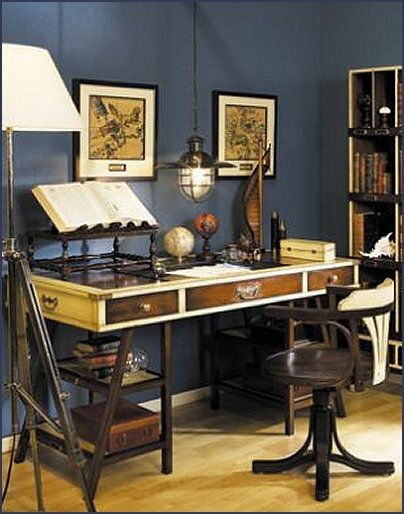 In the case of our nautical navigator's desk, the two supports could act as steps into the navigator's bunk, or to mount a camel, whichever came first. 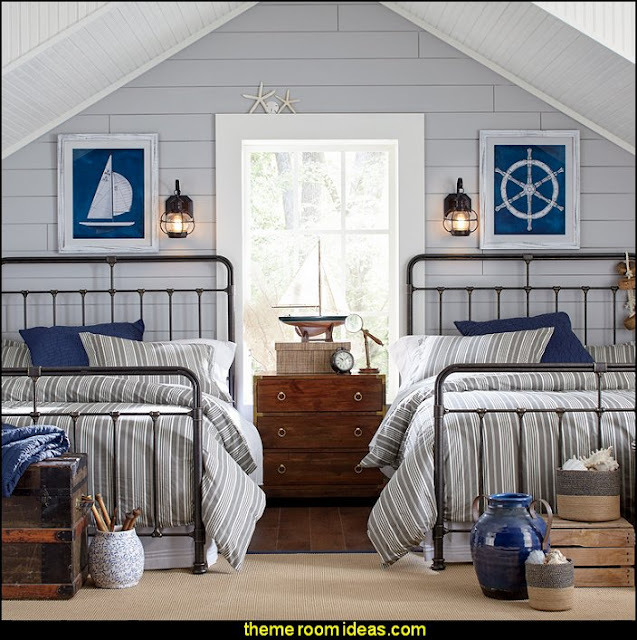 Bring vintage character to your master suite or guest room with this farmhouse-style metal bed, showcasing an understated iron frame in a dark roast finish. 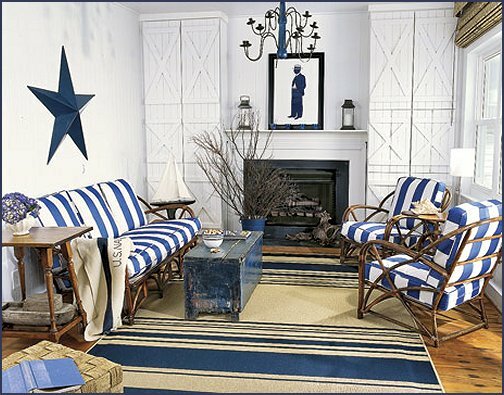 Are you a beach bum, a beach lover, or simply just a fan of the water? 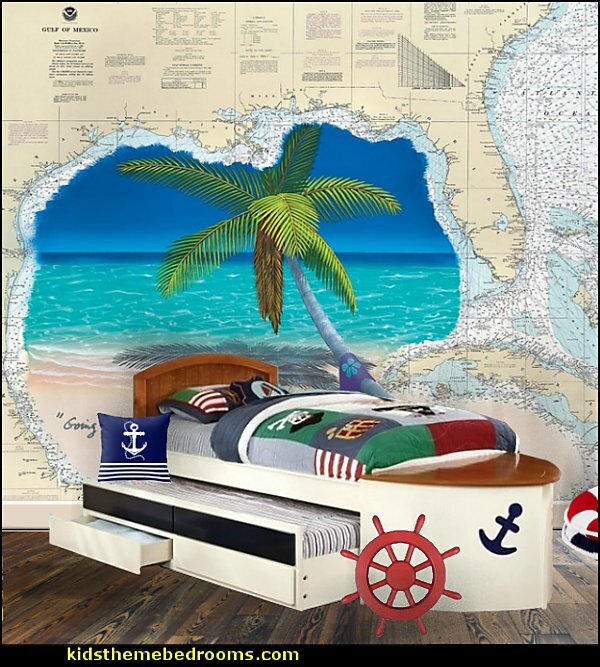 If you find yourself constantly longing for a relaxing vacation along the sandy shores of Tahiti or yearning to go on a coast-to-coast cruise, look no further. 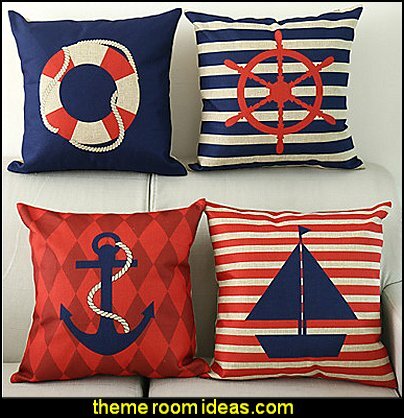 Interior designer Anna Örnberg has all the solutions to bring the waves to your home and living room. 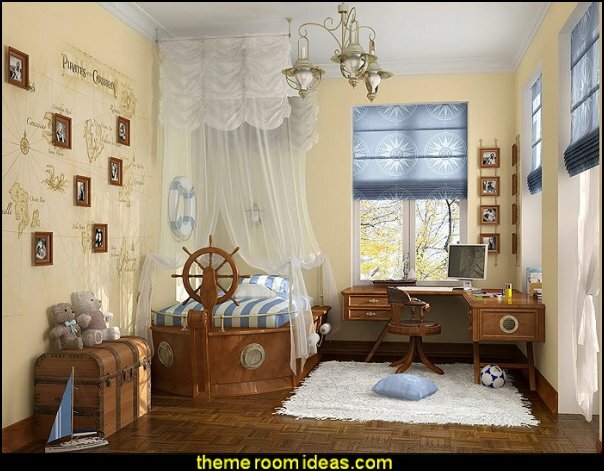 Using seashells, ropes, dark woods, and light-colored walls, the interior designs in this book remind readers of sunken ships and buried treasures. 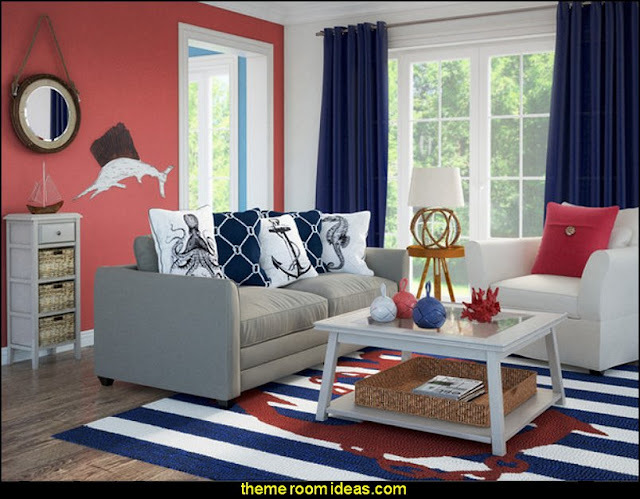 The decor will inspire homeowners to personalize their homes into the most calming and soothing living quarters, a place where they can sit, relax, and enjoy the ocean breeze.